Brightly painted chicken buses in Antigua Guatemala. 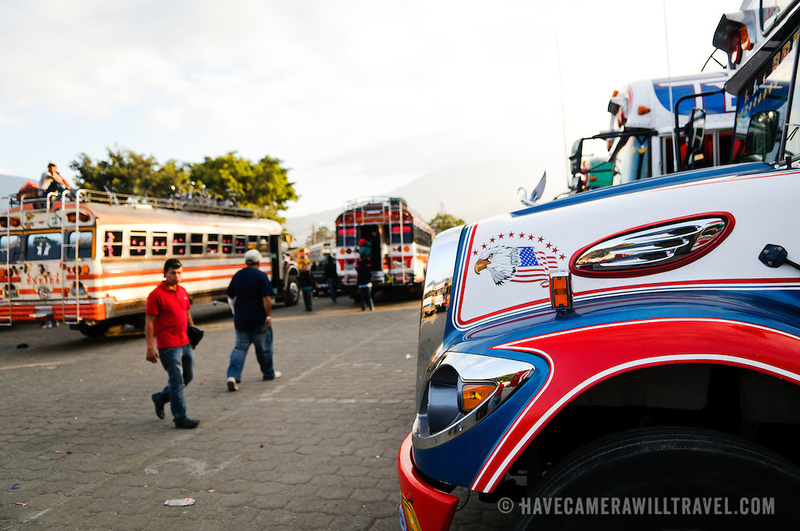 Usually renovated old American school buses, chicken buses play an essential role in Central American transportation. Famous for its well-preserved Spanish baroque architecture as well as a number of ruins from earthquakes, Antigua Guatemala is a UNESCO World Heritage Site and former capital of Guatemala.